Sarsfields Juvenile Hurling Club gave a generous donation to St. Vincent de Paul from the takings of todays very successful Poc Fada. SVP are a very worthy cause especially at this time of year. 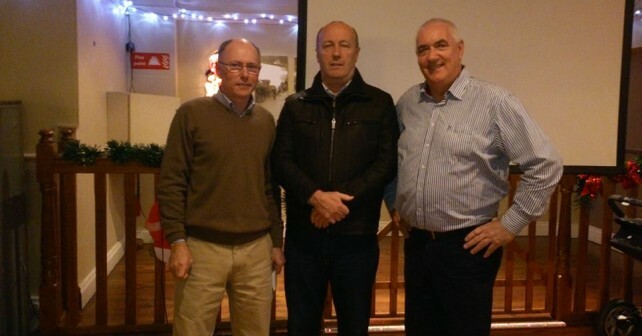 Willie Cashman Glanmire SVP representative accepted a cheque from Marty Fleming Juvenile Club Chairman and Tadhg Murphy Senior Club Chairman.